Dr. Kaaren Vargas was born in Lima, Peru and moved to the US at a very young age. Her whole life she has been passionate about fitness. Dr. Kaaren Vargas was born in Lima, Peru and moved to the US at a very young age. 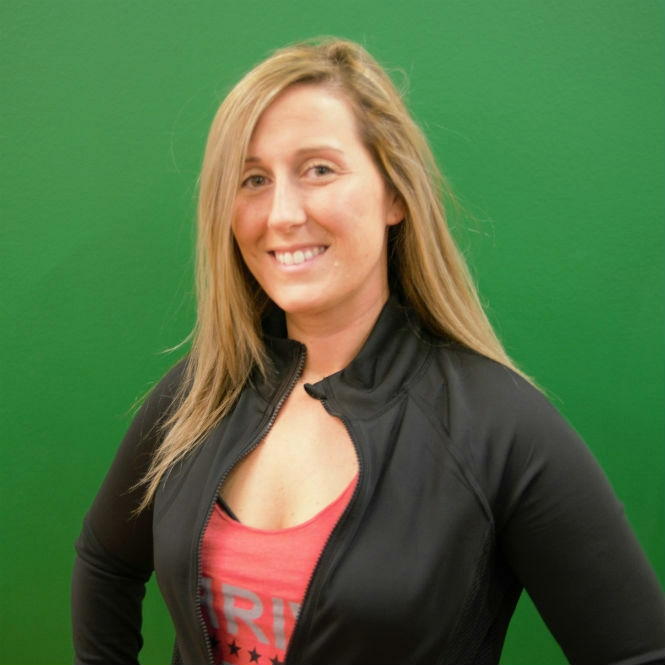 Her whole life she has been passionate about fitness, studying everything from martial arts to cycling to weightlifting. 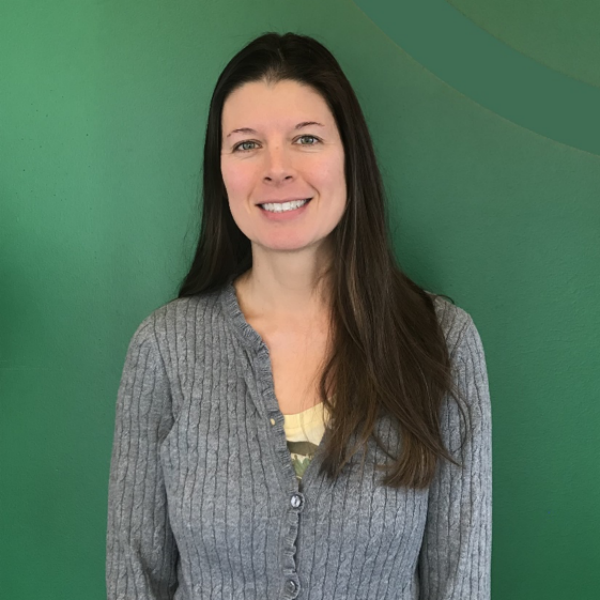 In her professional life, she completed her pediatric dental specialty training in 1992 at Eastman Dental Center in Rochester, NY and a PhD in 1998 at the University of Iowa. She became a full time faculty member at the University of Iowa Department of Pediatric Dentistry that same year. She has also lectured extensively both nationally and internationally. The best part of Zumba is every aspect of the class is synced to energizing, motivating music to keep you pumped up and pushing all throughout class. I am a graduate student, nearing the completion of my PhD in Neuroscience. I research the effects of exercise on the aging brain. While I mainly studies older adults, I would like to emphasize that exercise is good for your brain at all ages!! I have been a certified Zumba fitness instructor since 2010, and a certified Strong by Zumba instructor since 2017. Strong by Zumba is a high-energy group exercise class based on the concept of high-intensity interval training. The best part is that every aspect of the class is synced to energizing, motivating music to keep you pumped up and pushing all throughout class. Come check it out! I am also an avid swing dancer, specializing in the styles of the 1920s-1940s, including Balboa, Lindy Hop, and Charleston. Anyone interested in swing dance fitness classes? Come try your dance moves at our swing dance sessions! I first developed a love for lifting in high school while playing football. However, my love for lifting turned into a passion for powerlifting. I came to Iowa city last year as an athlete for the Universities track and field team. After a short stint as an athlete, I found my desire was to learn about overall health and wellness. My goal as a trainer is to push people past their so called “limits!” I truly believe exercising is a great way to build confidence and boost morale. 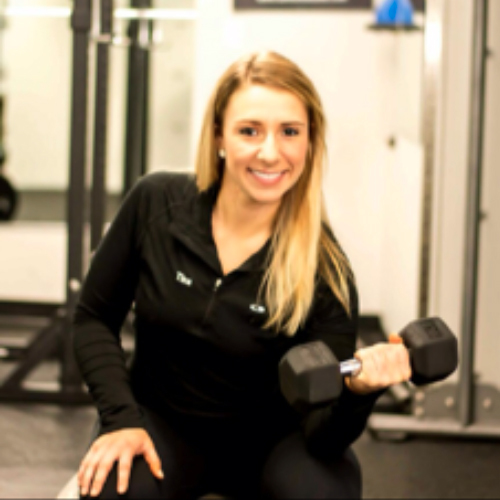 My passion for health and wellness as a group fitness instructor and personal trainer has been a part of my life since high school. I have worked in private clubs, non-profit settings and corporate wellness. Leading group fitness classes on land and in the water, as well as training individuals and small groups. One of my favorite populations in which to work with is the Senior population (ie: Baby Boomers), educating them on how to stay as healthy and as well as possible during the second half of life. My approach is to work alongside each person to maintain what they have and enhance areas that will progress them toward their goals. With my experience as a Dementia practitioner, I also include brain health. While there is no cure or magic, we can challenge our brains by keeping them active in ways that we most likely are not doing in our day today life. I am a POUND Pro and wellness enthusiast! I’ve been playing drums since middle school, in various percussion ensembles in school and competitive drumlines in Drum Corps, so this amazing workout struck a very close heart chord. 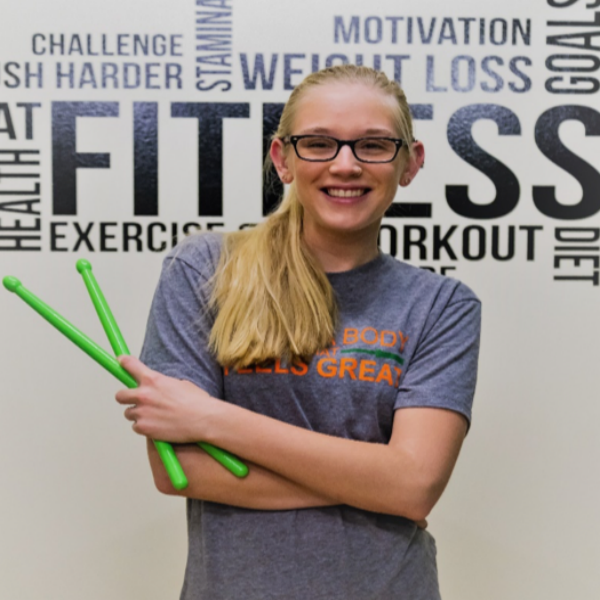 It provides me the perfect place to combine all my passions: getting in a good sweat, pounding some drumsticks together, and jamming to my favorite songs! I grew up in the Chicago area, studied at Belmont University in Nashville, TN, and recently moved to Iowa City to pursue music, writing, and fitness. 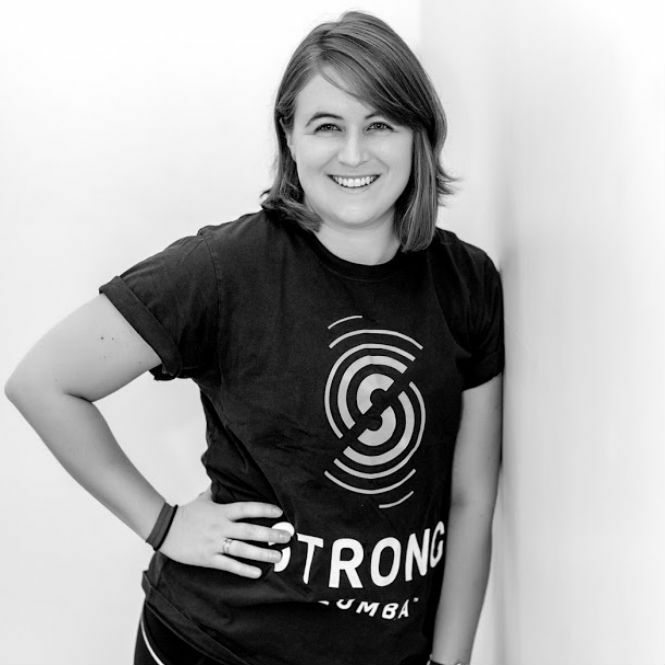 I was a member of Belmont’s Chapter of CHAARG [Changing Health, Attitudes, + Actions to Recreate Girls] and found my passion for working out in group settings, uplifting my fellow peers, and advocating a healthy lifestyle. I have the privilege of writing for the CHAARG National Blog to continue spreading wellness knowledge and positive vibes. Join me in a POUND class and lets rock out together while we work out! 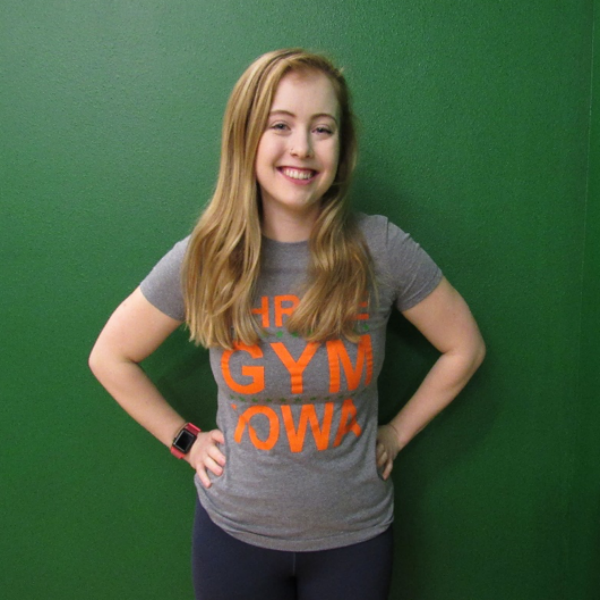 Sarah is an Iowa City native and long devoted practitioner of yoga. She first discovered yoga while living in Southern California in 2001, it didn’t take long for her to become enamored with the peace and balance it brought to her life. Yoga also helped introduce her to the mind, body connection and the many benefits available when they’re in harmony. In 2014 she studied with yoga teacher Shannon Buffington, learning a branch of Hatha yoga rooted in working with the subtle energies of the body to enhance physical and spiritual well-being. 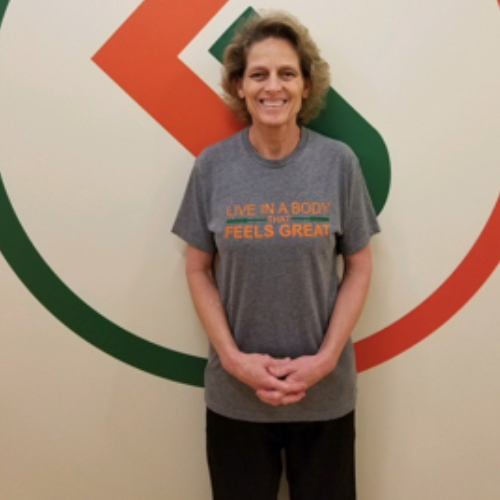 Sarah’s classes blend together asana and breathwork to bring forth the body’s inner wisdom and help restore balance to mind, body and spirit. My entire life, I was overweight and very unhealthy. In high school, I was not athletic and I was made fun of for being the “heavy girl” in my class. I didn’t know how to use any gym equipment, and I wouldn’t DARE enter a gym because I was completely terrified of what people would think of me for being the “big girl” in the gym. My freshman year of college, I weighed 200 pounds and I was starting to realize how unhealthy my lifestyle was. I started out by doing YouTube workouts, looking on Pinterest for random weightlifting exercises, and going to the gym with my roommates. I changed my diet and slowly started to educate myself about exercise. It took me over a year and a LOT of hard work, but I’ve lost over 60 pounds and I’ve completely changed my lifestyle for the better. My sophomore year of college, I changed my major from Journalism to Health and Human Physiology. I graduated with my Bachelor’s in Health Promotion in December 2018. I am also an ACE certified personal trainer and a certified barre instructor. I want to help people change their lives and to not be afraid of the gym like I used to be. I love to lift weights, and I also love group fitness classes. My barre classes are a great form of low impact exercise that focus on toning your body, improving your cardiovascular health, and creating mindfulness. I hope to see you there! After studying engineering for the first two years at the University of Iowa I decided to change my major to exercise science. This is when I got my personal training certification through ACSM and began my journey as a trainer. 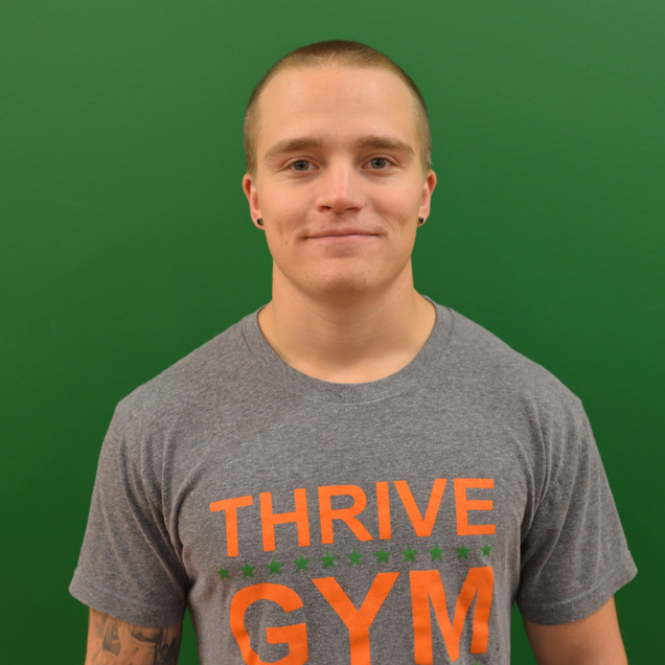 The first step was to find a gym to call home; this is when I found Thrive. Thrive gym really stood out to me; it wasn’t like the other gyms. 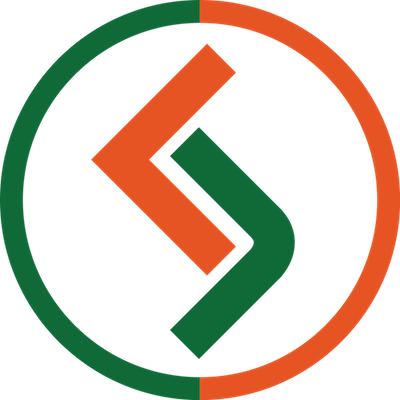 I could tell Thrive was different because it is a place where you can come in and be individual. No matter what your training style, Thrive gym had all the bases covered. 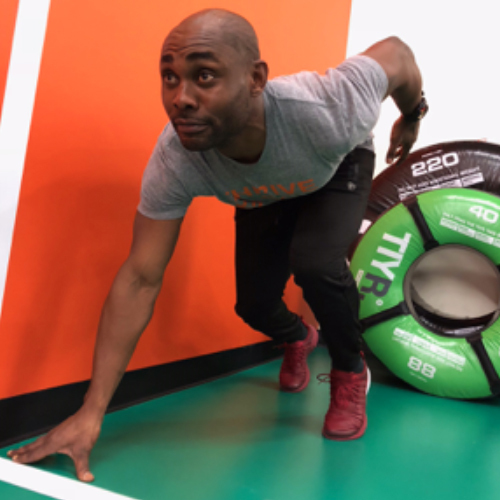 My goals as a trainer here is to help my clients better understand the key components to living healthier lifestyles as well as incorporating functional movement training. Experience with personal weight loss, life struggles and hardships have given me the grit, grace and experience to truly relate to my clients. I am a mom, former Army service member, and entrepreneur. I am always attentive to not just your physical/nutrition needs, but your emotional/spiritual needs as well. I customize every workout to meet the needs of each person I train as an individual because I know that not every person likes the same workout or needs the same thing. I strive to help shape mind, body and soul all through a great workout. I’m always encouraging my clients to go for those few extra repetitions or push harder through the last few seconds of a workout to beat their personal best. Tina is a fitness coach, motivator, chef, and a different kind of 1%. In my work, personal life, and fitness journey the phrase “1%” always applies. I truly believe in giving 1% more of yourself in everything you do each day. Attaining to be 1% better today than you were yesterday is an easy approach to becoming the best version of you without getting overloaded or discouraged! This philosophy resonates in my training style. I’m always encouraging my clients to go for those few extra repetitions or push harder through the last few seconds of a workout to beat their personal best. The real magic happens in the moments you feel you have nothing left to give. With over seven years in the fitness and wellness industry, I find helping others can be one of the most rewarding careers. You will find my energy and enthusiasm to be contagious. Growing up, sports were a way of life in my family. Every season of the year I was doing something. You name it soccer, volleyball, basketball, track I loved it all and truly enjoyed staying active! I even was a member of the high school marching band!! In a college culinary course I found a true passion for cooking but as much as I loved it, the life of a chef never appealed to me. Working late nights, stuck in a kitchen with no windows… No way! I just couldn’t bring myself to do it. So I started a company called Cuisine For The Lean. It became the perfect outlet for me to cook delicious yet nutritious meals. I was able to help my clients struggling with their diets or who simply didn’t have the time to meal prep. Recently I left my home of Seattle, Washington for my next big life adventure and found myself here in North Liberty, Iowa! I look forward to helping Thrive build a one of a kind gym community and changing lives. My ambition is to influence others positively. To bring the type of energy that will motivate others to achieve more through health & fitness. I know that everyone is different, and when it comes to exercise, everyone should be treated as an individual. 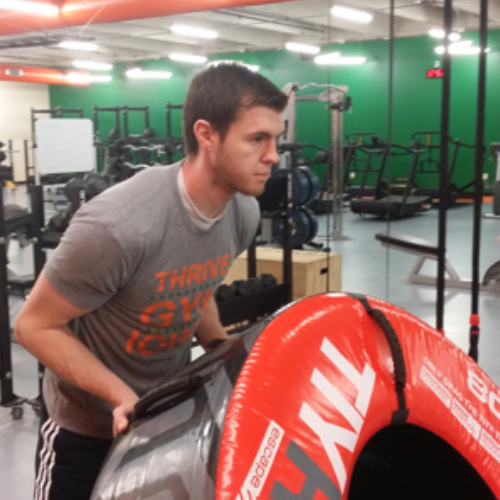 After I started lifting weights for high school football, I was sidelined with an injury. Instead of letting it hold me back, I discovered that I loved helping others work through their injuries and helping them become stronger, both physically and mentally while helping them achieve goals they never thought they could. 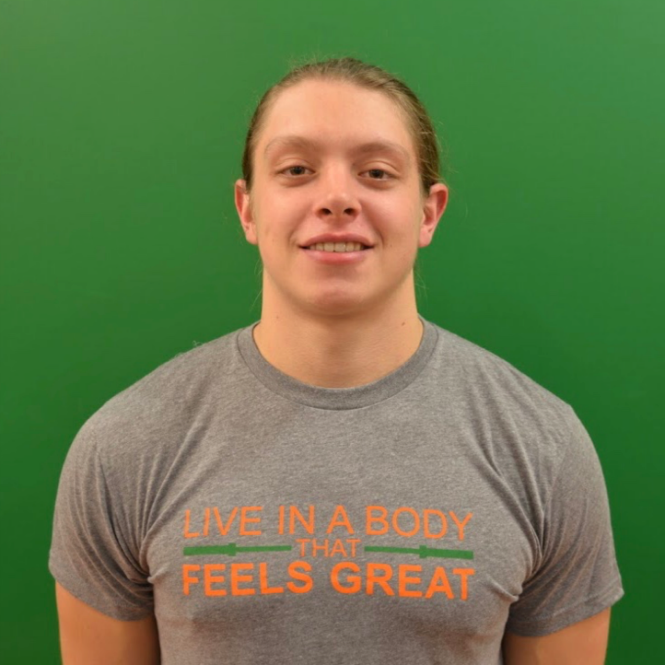 For the last two years I have attended the Kirkwood Exercise Science program and have just enrolled in their Physical Therapy Assistant program. 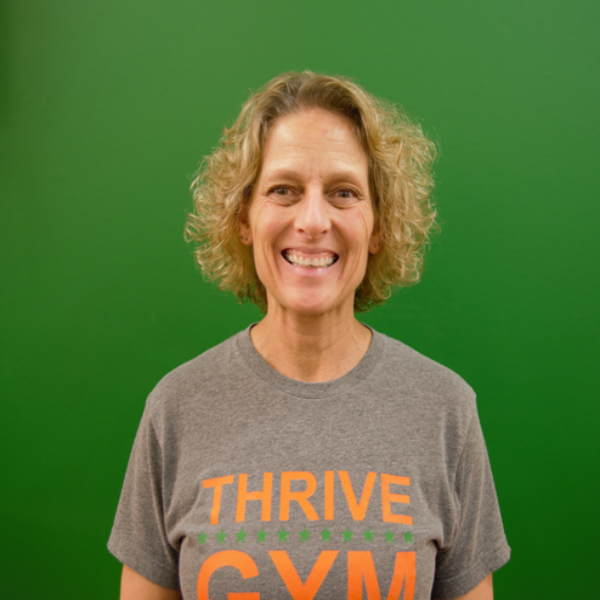 I know firsthand how gratifying it feels to have fitness as a part of my life and I want to share that experience with everyone at Thrive Gym. 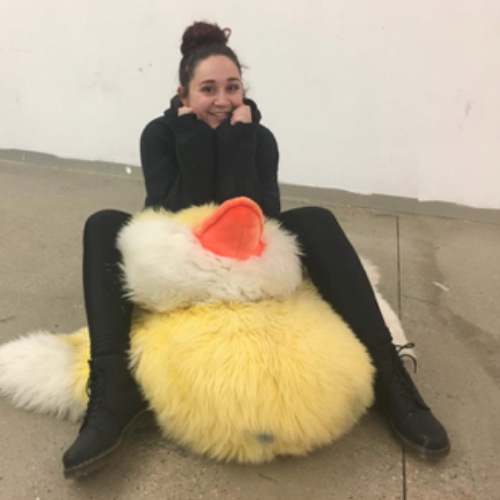 Come try one of my classes!!! There is something for everyone from the beginner to the experienced exercise enthusiast!! My passions in life are art, children, gardening, and my dog. I love to tell kids I’m a mermaid and see the look of wonder in their eyes! One of my favorite populations in which to work with is the Senior population (ie: Baby Boomers), educating them on how to stay as healthy and as well as possible during the second half of life. My approach is to work along side each person to maintain what they have and enhance areas that will progress them toward their goals.